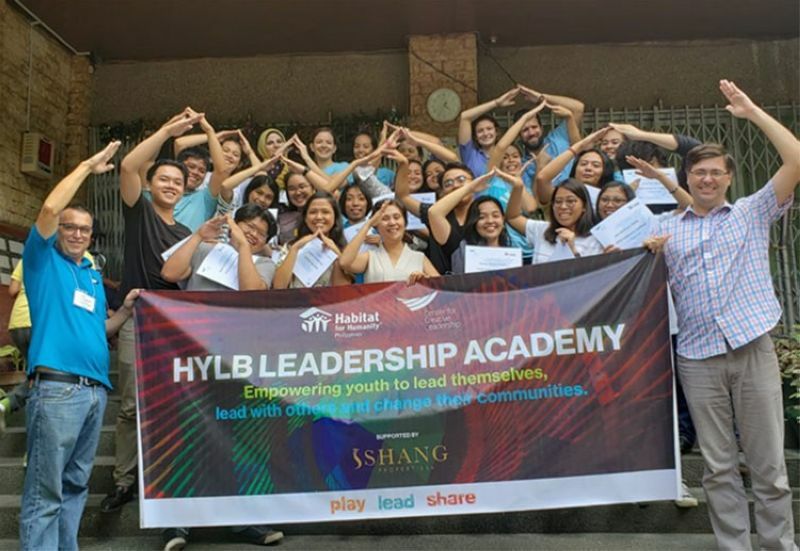 HABITAT for Humanity Philippines -- one of the leading nonprofit shelter organizations in the country -- and US Peace Corps, a global humanitarian and development agency of the United States government, partner to train 6,000 youth in 2019 under the Habitat Young Leaders Build Leadership Academy. Habitat, in partnership with the Center for Creative Leadership, developed the academy to equip young people in Asia Pacific to create and lead programs that address problems in their communities. “As an organization, Habitat remains dedicated to provide decent shelter for all. If we train the youth to lead their communities to build clean and safe neighborhoods, we can reach this goal much faster,” said Lili Fuentes, chief operating officer of Habitat Philippines. At least 100 Peace Corps volunteers have been trained to facilitate the modules in the academy. These trainers will then conduct youth leadership workshops in their assigned communities. In the Philippines, about 300 senior high school students have trained under the program’s initial rollout. By 2020, Habitat Philippines and its partners aim to train at least 10,000 youth.